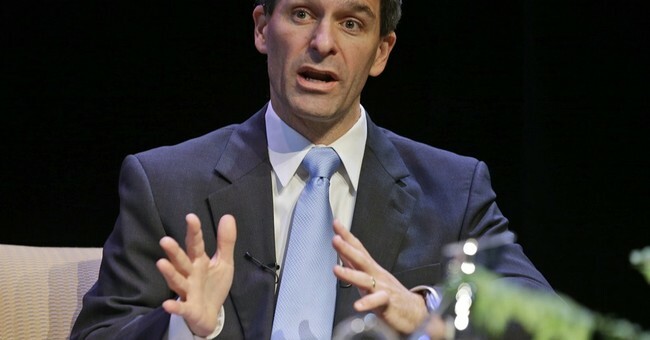 Q-Poll: Cuccinelli Only Down Four Percentage Points? The polls have been all over the place this month. Thus it’s difficult to gauge exactly which direction the political headwinds are shifting in Virginia. But I'm beginning to wonder: Could Cuccinelli pull this thing off? Both McAuliffe and Cuccinelli are seemingly courting their respective bases: the vast majority of Democrats and Republicans (91 percent and 86 percent, respectively) say they will vote the party line on November 5. However, McAuliffe is winning over indie voters by a much larger margin, 46-31, while 16 percent back Jarvis. It’s clear, then, that a third party candidate and undecided voters will almost certainly impact the outcome of this race, a point we made last week. The good news for Cuccinelli, however, is that only 60 percent of voters say they will “definitely” vote for Richard Sarvis. Thus, on Election Day, expect Cuccinelli to get a bit of a boost from liberty-minded Virginians, some of whom decide to buck their party leadership in favor of (hopefully) nudging the Republican candidate over the finish line. The poll's margin of error was 2.9 percent. So McAuliffe is, of course, still the front runner. But his lead has shrunk considerably in the last ten days. A Rasmussen poll conducted on October 20 showed Terry McAuliffe ahead by 17 percentage points. There's no way he holds that kind of a lead today, assuming this poll isn't an outlier. This race is closer than anyone, including myself, ever could have expected. Let's hope Republicans get the job done.